Facebook is currently testing a new wireless system for deploying high-speed internet to dense urban areas, and it's set to be trialed in downtown San Jose later this year. The system, known as Terragraph, is being designed as an easier, more flexible alternative to fiber connectivity without giving up any of fiber's performance advantages. Terragraph uses milimeter wave spectrum to communicate wirelessly between a large array of outdoor nodes. These nodes would be placed on as many street-level items as possible, such as lamp posts, and send information between each other using narrow, focused beams. Buildings could have Terragraph receivers placed on their exterior, and then transmit the internet to customers through standard Ethernet or Wi-Fi. Thanks to Terragraph's use of the open WiGig (or 802.11ad) standard, it's also possible for third-parties to create hardware that would connect directly to these Terragraph nodes. Cars, for example, could drive down roads and connect to the internet through nodes placed on every lamp post. There are some disadvantages to WiGig that require Facebook to deploy so many nodes at street level. 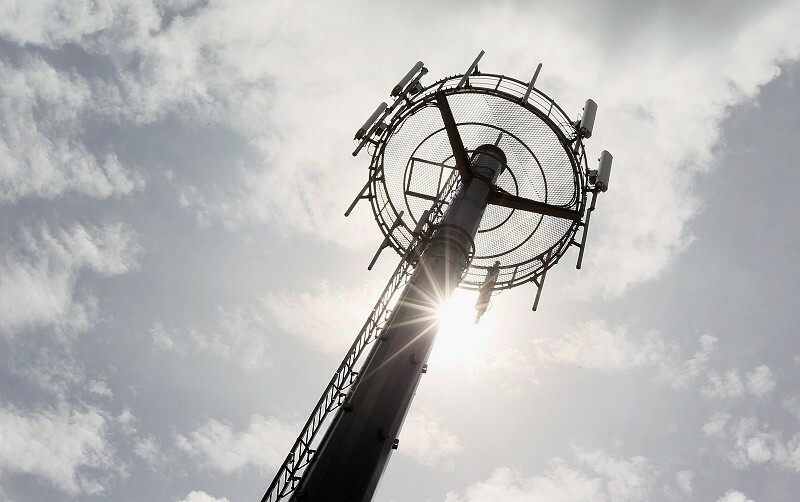 The technology uses frequencies around 60 GHz – or wavelengths around 5 mm, hence "milimeter wave" – which are a lot higher than Wi-Fi's 2.4 or 5.0 GHz. These shorter WiGig wavelengths can't travel as far, and don't penetrate easily through walls or windows, so it's really only suitable for outdoor line-of-sight-style networks. However, WiGig is capable of transfer speeds that well exceed standard Wi-Fi. Facebook has demonstrated throughput as high as 2.1 Gbps from a single node, although that's expected to increase as the technology matures. And with a network of many nodes, you can see how Terragraph could easily match the performance of a fiber network. Facebook says that Terragraph will be used to supplement existing network technology, and increase internet speeds in areas where it may be too complex or too costly to deploy other high-speed internet solutions. San Jose will be the first area to publicly trial this technology, and Facebook is eager to see how it works outside of their own headquarters.